The Continental Association, often known simply as the “Association”, was a system created by the First Continental Congress in 1774 for implementing a trade boycott with Great Britain. Congress hoped that by imposing economic sanctions, Great Britain would be pressured to redress the grievances of the colonies, and in particular repeal the Intolerable Acts passed by the British Parliament. The Association aimed to alter Britain’s policies towards the colonies without severing allegiance. 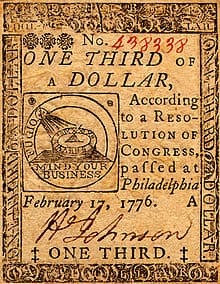 The boycott became operative on December 1, 1774. The Association was fairly successful while it lasted. Trade with Great Britain fell sharply, and the British responded with the New England Restraining Act of 1775. The outbreak of the American Revolutionary War effectively superseded the attempt to boycott British goods. The British Parliament passed the Coercive Acts in 1774 to reform colonial administration in British America and, in part, to punish the Province of Massachusetts for the Boston Tea Party. Many American colonists saw the Coercive Acts as a violation of the British Constitution and a threat to the liberties of all of British America, not just Massachusetts. As they had done during the 1760s—most effectively during the Stamp Act crisis of 1765—colonists turned to economic boycotts to protest what they saw as unconstitutional legislation. The word boycott had not yet been coined; colonists referred to their economic protests as, depending upon the specific activity, “non-importation”, “non-exportation”, or “non-consumption”. That it is the opinion of this town, that if the other, Colonies come, into a joint resolution to stop all importation from Great Britain, and exportations to Great Britain, and every part of the West Indies, till the Act for blocking up this harbour be repealed, the same will prove the salvation of North America and her liberties. On the other hand, if they continue their exports and imports, there is high reason to fear that fraud, power, and the most odious oppression, will rise triumphant over right, justice, social happiness, and freedom. Paul Revere, who often served as messenger, carried the Boston resolutions to New York and Philadelphia. Adams also promoted the boycott through the colonial committees of correspondence, through which advocates of colonial rights in the various provinces kept in touch. The First Continental Congress was convened at Carpenters’ Hall in Philadelphia on September 5, 1774, to coordinate a response to the Coercive Acts. Twelve colonies were represented at the Congress. The articles of the Continental Association imposed an immediate ban on British tea, and a ban on importing or consuming any goods (including the slave trade) from Britain, Ireland, and the British West Indies to take effect on December 1, 1774. It also threatened an export ban on any products from the American colonies to Britain, Ireland, or the West Indies, to be enacted only if the complained of acts were not repealed by September 10, 1775; the Articles stated that the export ban was being suspended until this date because of the “earnest desire we have not to injure our fellow-subjects in Great-Britain, Ireland, or the West-Indies.” This was a recognition of the need and demand for American goods abroad, though the ban was likely deferred to avoid inflicting immediate economic hardship on American merchants. All American colonists were to direct their agents abroad to also comply with these restrictions, as would all ship owners. The Association set forth policies by which the colonists would endure the scarcity of goods. Merchants were restricted from price gouging. Local committees of inspection were to be established in the colonies by which compliance would be monitored, through strong-arming local businesses. Any individual observed to violate the pledges in the Articles would be condemned in print and ostracised in society “as the enemies of American liberty.” Colonies would also cease all trade and dealings with any other colony that failed to comply with the bans. These delegates signed the Association in Congress. Many local signings also took place. The Continental Association went into effect on December 1, 1774. The ban did succeed for the time it was in effect. However, the British retaliated by blocking colony access to the North Atlantic Fishing Area. Only one colony failed to establish local enforcement committees; in the others, the restrictions were dutifully enforced—by violent measures on some occasions. Trade with Britain subsequently plummeted. Parliament responded by passing the New England Restraining Act, which prohibited the northeastern colonies from trading with anyone but Britain and the British West Indies, and they barred colonial ships from the North Atlantic fisheries. These punitive measures were later extended to most of the other colonies as well. The outbreak of open fighting between the colonists and British soldiers in April 1775 rendered moot any attempt to indirectly change British policies. In this regard, the Association failed to determine events in the way that it was designed—Britain did not cave to American demands but instead tried to tighten its grip, and the conflict escalated to war. However, the true long-term success of the Association was in its effective direction of collective action among the colonies and expression of their common interests. This recognition of union by the Association, and its firm stance that the colonies and their people had rights that were being infringed by Britain, made it a direct precursor to the 1776 Declaration of Independence, which by contrast repudiated the authority of the king once it was clear that no other solution would preserve the asserted rights of the colonies. In his first inaugural address in 1861, President Abraham Lincoln traced the origins of the United States back to the Continental Association.